Porsche can fill a hole in the luxury car market by targeting retired gay men. 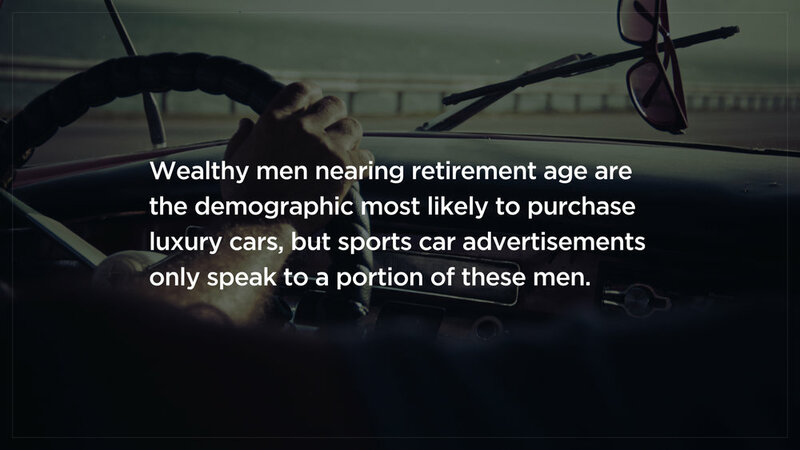 Wealthy, retired men are the group most likely to purchase a luxury car, but hyper-masculine, heteronormative advertising alienates LGBTQ members of this audience. This campaign positions Porsche as a complement to this audience's lifestyle, signifying his well-earned freedom to embrace his identity. Our team delved into the legacy of Porsche's brand, and LGBTQ+ history and culture. The campaign connects the core values of this audience with the core tenets of Porsche's brand.